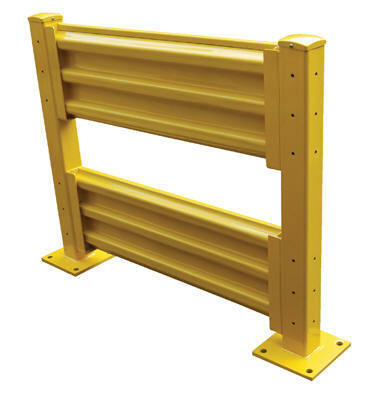 Create a modular system to protect equipment, inventory, and individuals from damage or injury with this highly visible powder coat yellow Structural Guard Rail. 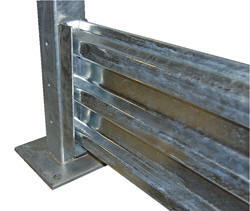 Triple ridge corrugated rails are constructed from 1/8" thick material, made for high impact resistance indoors or out. Posts are constructed of round corner 1/4" thick material. The steel base plate measures 10" square and is 5/8" thick. 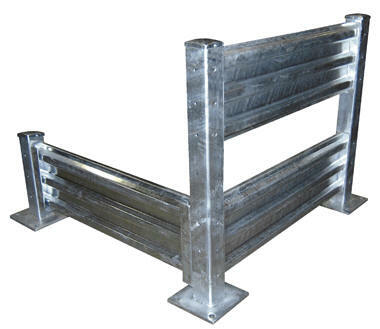 Bolts and washers are provided with individual rail sections. Concrete mounting kit is available separately. 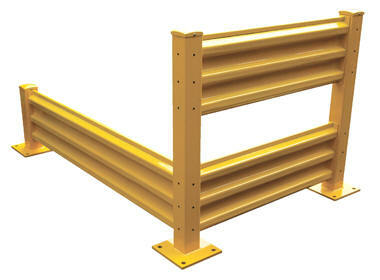 Provide a strong barrier with easy accessibility with our Drop-In Style rails. Slide rail sections into post saddles for simple assembly. 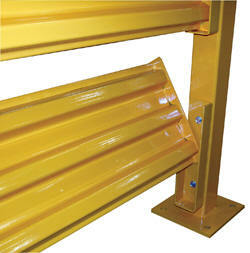 Each Drop-In Style rail section includes two brackets. 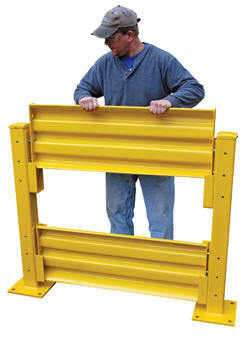 Bolt-On Style rails are designed for permanent installation. 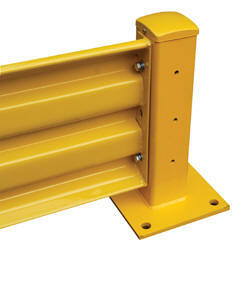 Models YGR-TP and GGR-TP posts include mounting holes on all four sides for use in corners or center posts.